In a breakthrough in the case of robbery of nearly Rs 9.16 crore from the office of an ATM cash handling company in Thane, police on Friday said they have arrested six persons and recovered Rs 3.12 crore from them. The six persons were arrested on Thursday and the hunt is on for around 15 others who were also involved in the robbery that took place in the wee hours of June 28, Maharashtra Director General of Police Pravin Dixit told mediapersons at the police headquarters in Thane. As per police, the company handled cash for bank ATMs, malls and jewellers. 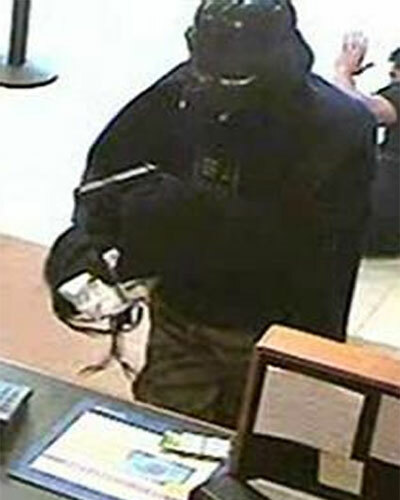 At the time of the incident, the cash collected was kept in the office. The DGP said that without any clue Dixit said the six arrests were made from Thane and Nashik in joint effort by a police team, including personnel of the Crime Branch, who cracked the case. Three four-wheelers, a pistol and a knife used by the accused in the robbery were also seized, and the hunt was on for another weapon and other things like CCTV and DVR taken away by the accused, police said. A gang of seven robbers, wielding knives and chopper, had on Tuesday robbed the office of the ATM cash handling company here and decamped with nearly Rs 9.16 crore. The incident took place when the robbers, who had their faces covered with monkey caps and handkerchiefs, barged into the office in Teen Hath Naka area here when 4 to 5 staffers were engaged in counting the money. The robbers kept the three security guards and staffers at gun-point while some of them stacked off the cash. They also disconnected the CCTV camera and looted it along with some mobile handsets. of the crime as the CCTVs were also stolen by the robbers, police worked on technical inputs and human intelligence and cracked the case within 48 hours. He expressed confidence that the others accused would also be nabbed soon. To a question, he said the company had not informed about its functioning in the city and also not intimated the police immediately after the robbery. "Our priority now is to recover the balance cash and also arrest the others accused," he said, adding that later on they will decide on further steps with regard to the company and also work out a system for such cash management firms. To a query, the DGP said after the robbery, the gang members assembled at Wadivare near Nashik and distributed the booty among themselves, with each one taking Rs 10 to 20 lakhs depending on his place in the gang, he said. Those arrested have been identified as -- Nitesh Bhagwan Awhad alias Golu (22), Amol Arun Karle (26), Akash Chandrakant Chavan alias Chingya, Mayur Rajendra Kadam alias Ajinkya (21), all residents of Thane, and Umesh Suresh Wagh (28) and Harishchandra Uttam Mathe (30) from Nashik. The entire robbery operation, which lasted for around 20 minutes at around 3.15 am on June 28, was the result of the inputs provided by an insider, the DGP said. One of the gang members -- Aakash Chavan alias Chingya -- had worked in the firm and left it in February this year and in his place brought in Amol Karle, who was among those present in the company at the time of the incident. Besides, another arrested accused -- Umesh Suresh Wag -- is said to be the mastermind of the robbery, police said. As per police, it was a well-planned robbery. The planning went on for two months before its execution and the insiders knew that the large amount of cash, to the tune of Rs 25-30 crores, collected form various sources including malls, was kept in the office and at time of the incident. The robbers took away as much cash as they could carry in three drums, police said. Dixit said that even though the CCTV in the company premises was pulled off and taken away, police had the footage of the recordings in the neighbourhood and account of the eyewitnesses. The intention of the robbery was nothing but to enjoy the big loot, police said. Nearly a dozen police teams were formed which worked round-the-clock and finally zeroed-in on the accused. Some of those arrested and absconding accused are history-sheeters, the details of which are being verified, police said. The Thane police team has spread in Nashik, Goa, Aurangabad, Karnataka and Andhra Pradesh in search of the others accused, he said. To a question, the DGP lauded the police officials who cracked the case and said they would be suitably rewarded. Thane Police Commissioner Param Bir Singh and his team was present at the press conference where the seized booty was displayed before mediapersons.